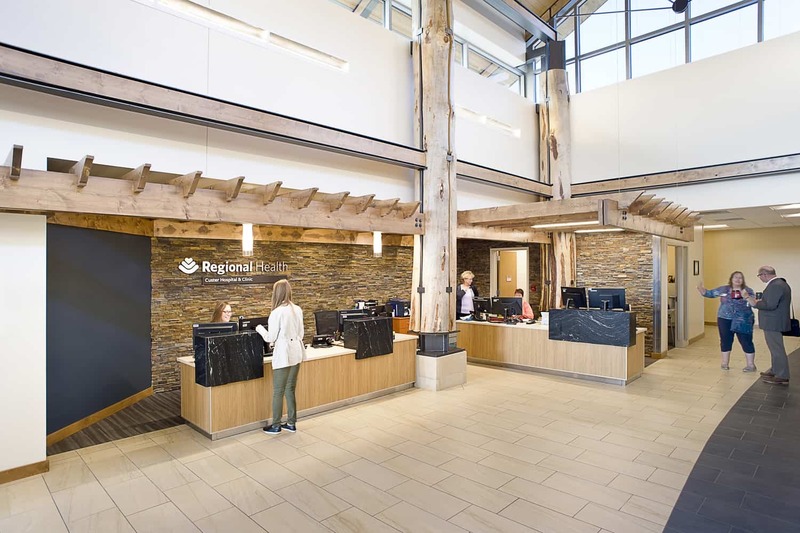 Regional Health Custer Hospital’s existing health care services were growing, but aging mechanical systems and limited site opportunities prohibited facility expansion. 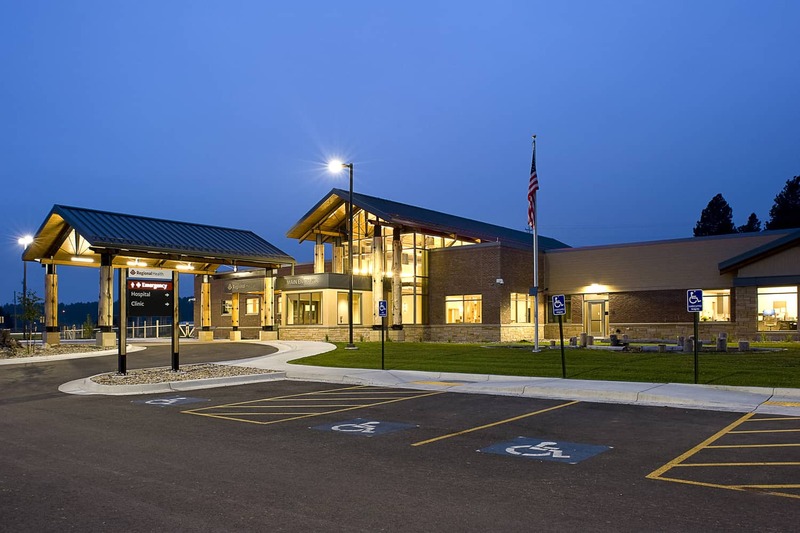 To better address the needs reflected in Custer’s community health assessment, BWBR master planned and designed a replacement facility on a new site that allows Custer Hospital to increase usable square footage, create a safer patient experience, and attract more specialty care providers. 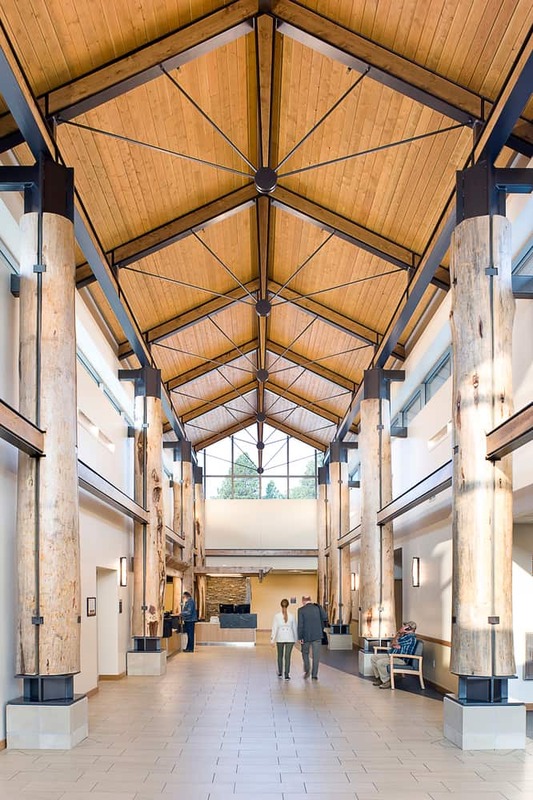 The design organically grows the new facility directly from the Black Hills’ pines, surrounding users with tree-trunk-like columns, copious daylight, and calming natural colors and textures. 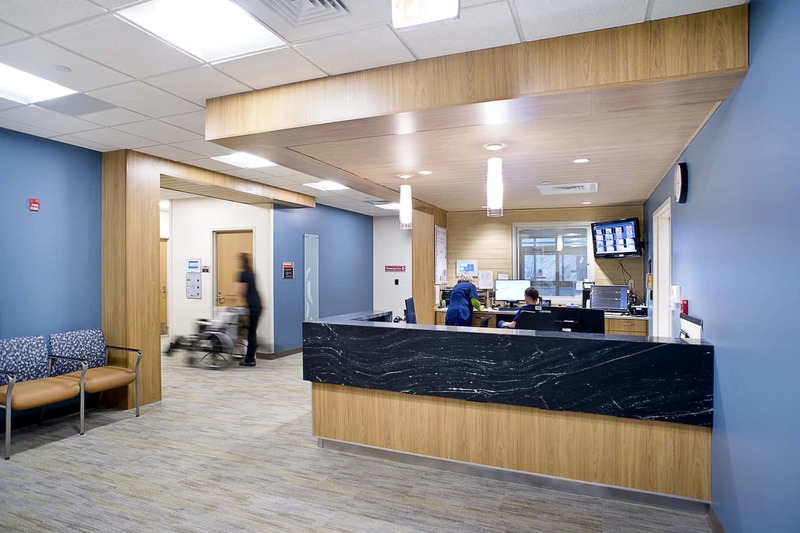 An iconic steepled entry ushers patients into a peaceful place of healing, much akin to walking under a canopy of trees. 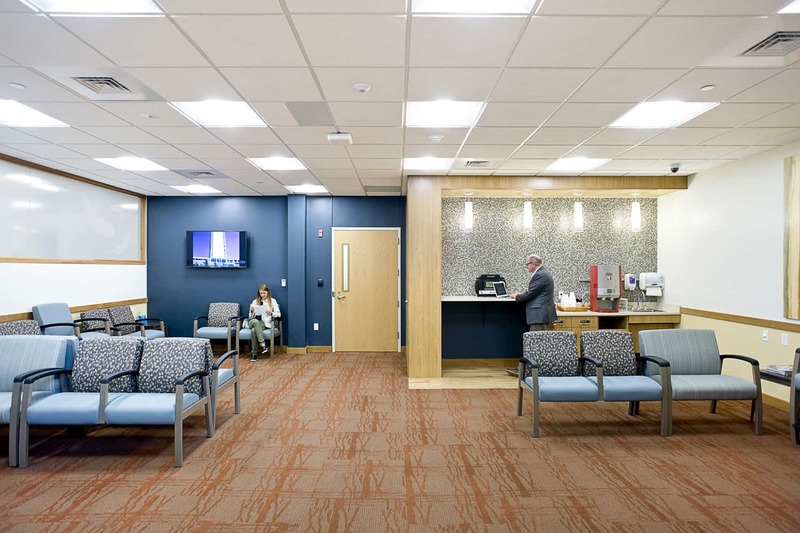 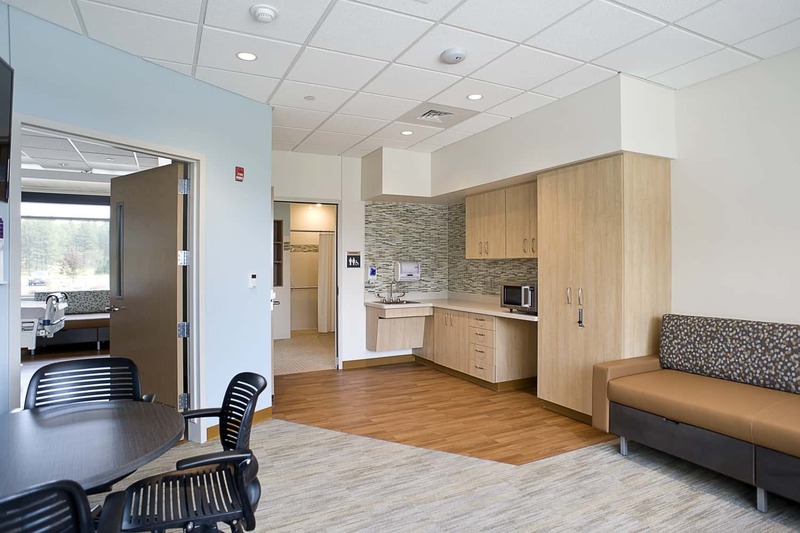 Functional yet soothing, materials were selected for their connection to Custer and Regional Health’s values in addition to their cleanability and durability. 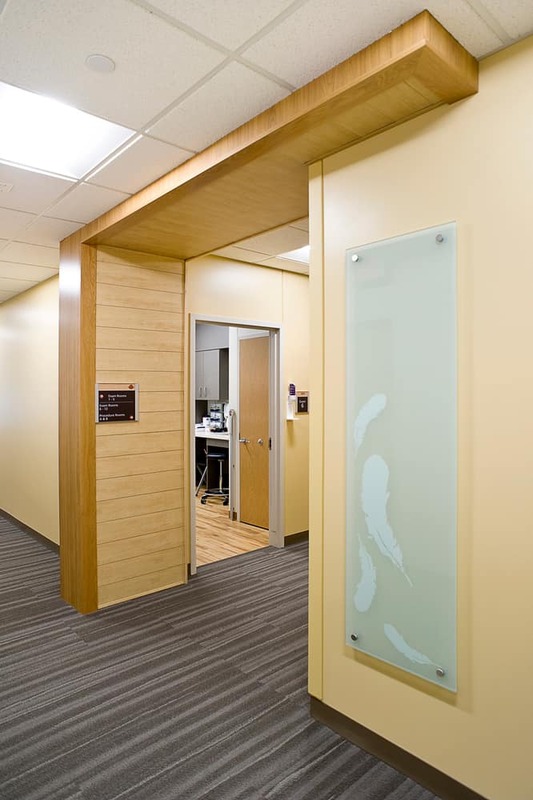 Lean planning was used in the entire facility’s design. 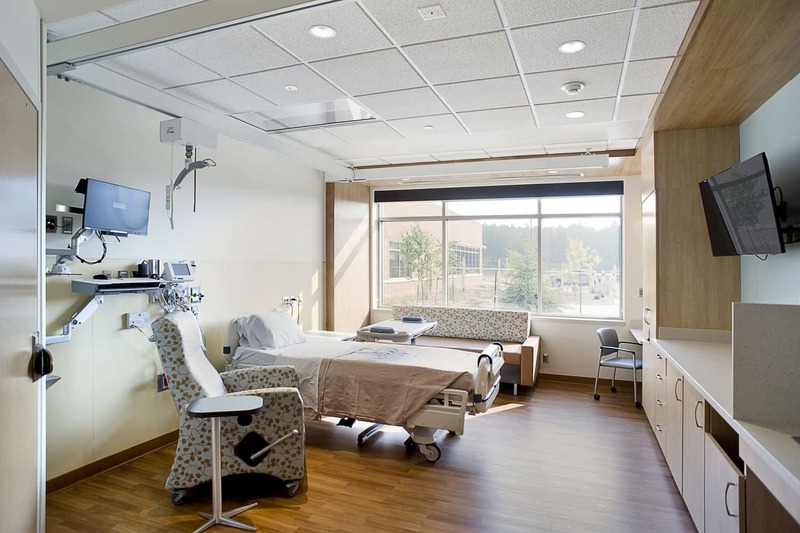 A centrally located nurse station oversees the emergency department, multi-functional procedure area, and inpatient rooms. 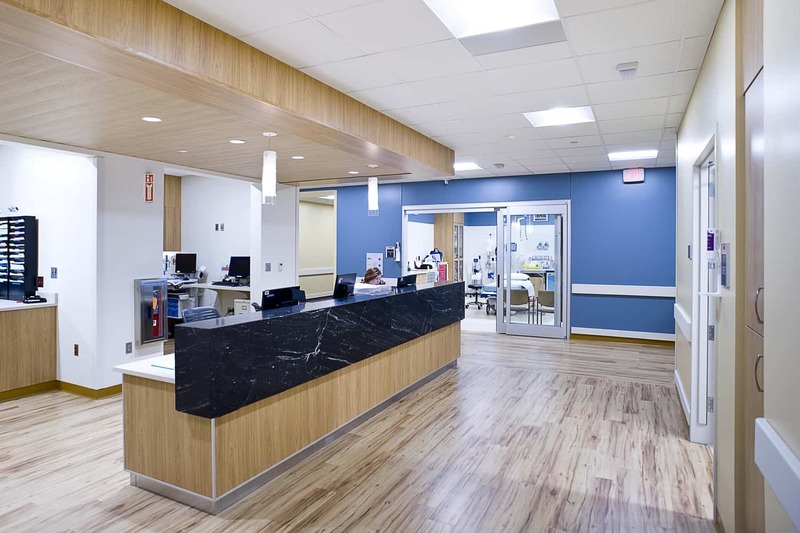 The central location is key to reducing staff steps while effectively managing patient care during minimally staffed hours.